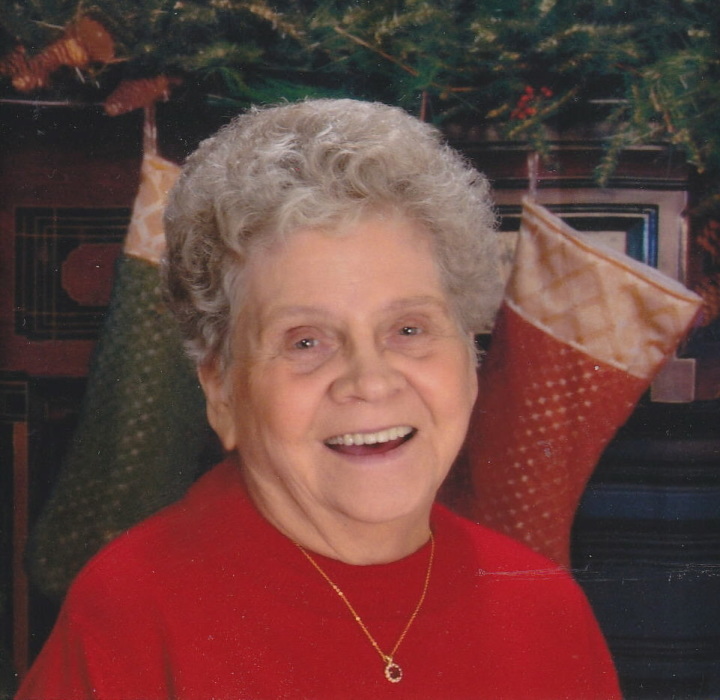 Ollivine Mae "Ollie" Wellman, 80, of Golden, passed away at 12:28 pm Saturday (October 27, 2018) in Golden Good Shepherd Home. Born April 25, 1938 in Golden, Illinois, Ollie was the daughter of James Edward and Hermina Kathryn Mueller Albert. She was married November of 1956 in Springfield, Illinois to Kenneth McCafferty. He preceded her in death in 2003. Ollie began her day reading her Bible and having prayer. She enjoyed doing jigsaw puzzles and word search puzzles and baking the "best" pies in the world. She was a very skilled and accomplished seamstress, sewing uniforms for the Quincy Police Department, the Quincy Fire Department, ball gowns for the Baux Arts Ball and wedding gowns. Ollie made pillows out of the satin wedding gown she made for her daughter Chris and quilted baby blankets for all the grandchildren and great grandchildren. Ollie was employed at Warners Dry Cleaners for several years until her retirement in 2005. Survivors include five children, Rebecca "Becky" Morgan of Chatham, IL, Ronald "Ron" McCafferty (Opal) of Quincy, Christine "Chris" Hopson of Quincy, Debra "Debbie" Sheppard of Springfield, IL and Danelle Furhman (Chad) of Quincy; eight grandchildren, Jordanna Willman (Andrew) and their daughter Aria of Chandler, AZ, Brittany Manion (Chris) and their daughters Faith and Hannah of Blair, NE, Brooke Hopson and her children Angel and Braxton of Quincy, Brady Hopson (Aubrey) of Quincy, Ashley Stankiewicz (Danny) of Ft. Madison, IA, Shayne Sheppard of Springfield, IL, Jennifer Sheppard of Springfield, IL and Jennifer Harris and her daughters Alayna Harris and Addalyn McGlaughlin of Quincy; a brother, Jim Albert (Becky) of Quincy; three sisters, Kathryn Bienhoff of La Prairie, IL, Mabel Gerdes of Camp Point, IL and Mary Hahn of Lincoln, IL. Also surviving are several loving nieces and nephews. Mrs. Wellman was preceded in death by her parents; two brothers, Robert Albert and Elmer Albert; one sister, Delois "Lois" Zahn and two son in laws John Hopson and Eddie Sheppard and a nephew Gary Albert. Funeral services will be held Friday morning at 11:00 at Hope Lutheran Church in Quincy with Pastor Scott Mickkelson officiating. Burial will be in Greenmount Cemetery. Visitation will be Thursday evening from 5:00 until 7:00 in the Zehender Robinson Stormer Cookson Funeral Home and Friday morning from 10:00 until the time of services at the church. Memorials may be made to the Golden Good Shepherd Home.